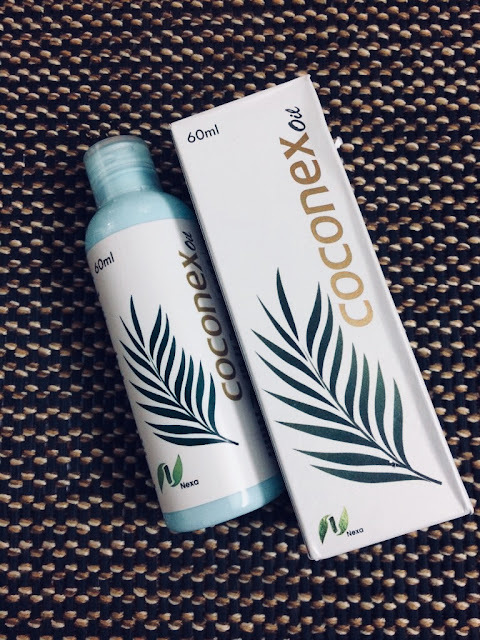 Today I am reviewing Coconex Oil which is not another ordinary coconut oil. Coconex Oil is actually cold pressed virgin coconut oil. 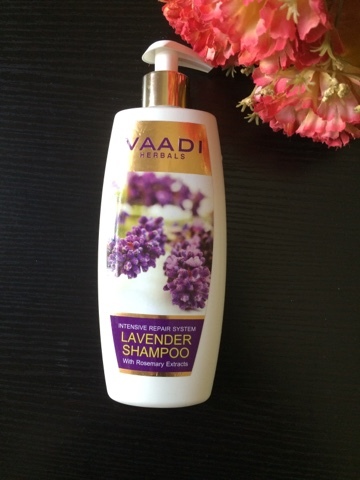 Not just that, this particular product also contains the benefits of Aloe Vera, Jojoba Oil, Vitamin e and Vitamin A!! 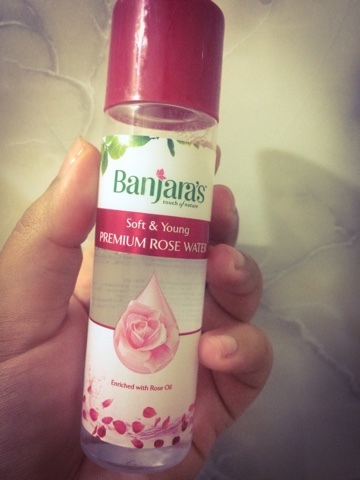 I have particularly loved using the product on my skin as a makeup remover and as a moisturiser in general at night. I have really dry skin and chemical makeup removers do my skin more harm than good. The best part about the product is that you are getting the benefits of a number of great ingredients in a single product. The mixture of cold pressed coconut oil, jojoba oil, aloe vera and essential vitamins makes my skin and hair extremely soft and helps me avoid harmful chemicals and ingredients present in skincare creams or oils. 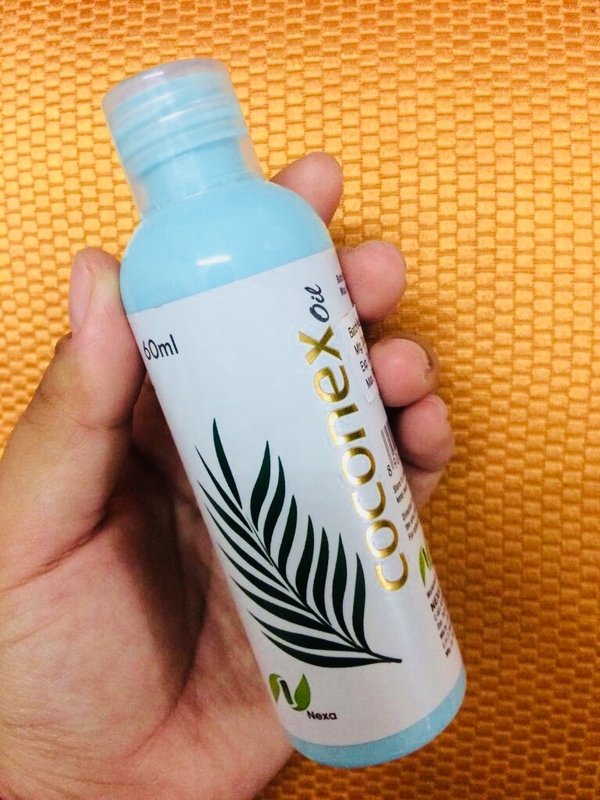 Moreover, Coconex Oil uses cold pressed virgin coconut oil as against expeller pressed coconut oil present in many traditional brands oil. This ensures that the nutritive value of the coconut oil is preserved and our skin and hair gets to benefit more. Overall, I did not find a single honest reason to hate this product...This product is that good!! 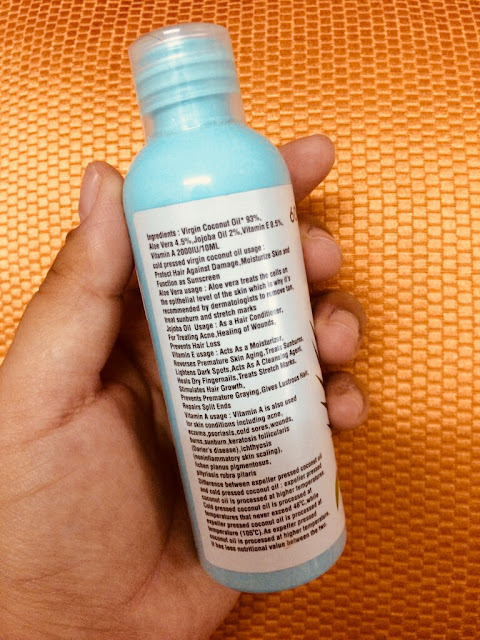 I would definitely recommend you guys to try this out once and then compare it with your ordinary coconut oil, and I am sure you will be pleasantly surprised, the same way I was !!! See you guys next time with another interesting review!! Thank you for the posting. 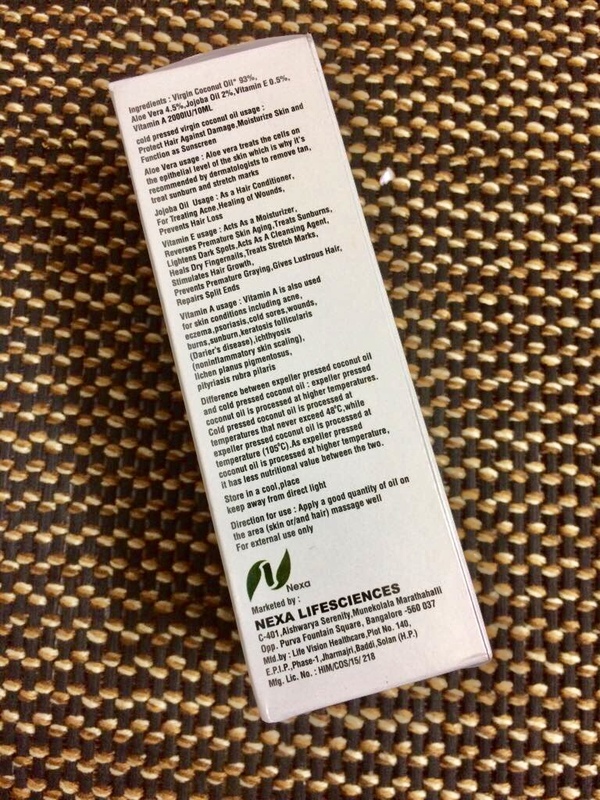 We can also use other natural oils like Marachekku oil in Bangalore to improve our health. Why to use chemical on your face and body? go organic and natural. We have a best ayurvedic and 100% natural pure premium cold pressed coconut oil and just use it once you will get a better results than other brands. Good post about this type of oil. Natural oils are the better than other oils. I WIll try to use Pure coconut oil in chennai.